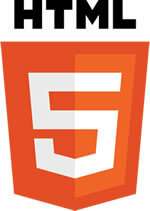 HTML Tutorials These tutorials teaches you everything about HTML. - Locate IP address - InfoSniper is a free service to geolocate IP addresses and domain names and providing additional information like provider, country, city and even whois information. Just fill in the form and use the different display modes by adding url parameters. HTTP Headers - This section defines the syntax and semantics of all standard HTTP/1.1 header fields. For entity-header fields, both sender and recipient refer to either the client or the server, depending on who sends and who receives the entity. 10+ jQuery slideshow és galéria plugin - Egy modern portfólió oldal elengedhetetlen része egy szép, esztétikus slideshow, mondjuk a főoldalon, mely korábbi munkáinkat hivatott bemutatni. Nem kötelező, de tény, hogy jól mutat és előszeretettel használjuk is őket. 14 jQuery Plugins for Enhanced Content Viewing - Whether you need to display content within a limited amount of space or you just want to make a section of your website more engaging, jQuery is an excellent solution. With jQuery you can easily create accordion style content boxes, image galleries, and content sliders. Here are 14 excellent jQuery plugins for adding this type of functionality to your site.